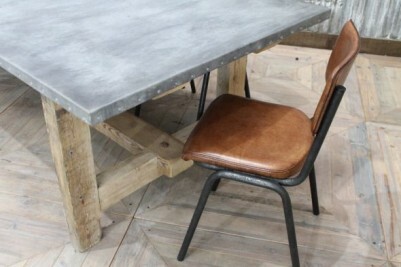 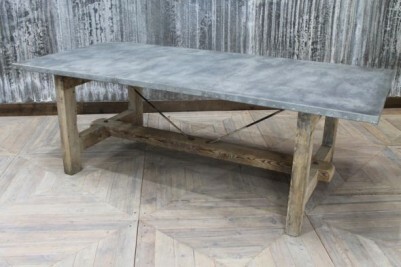 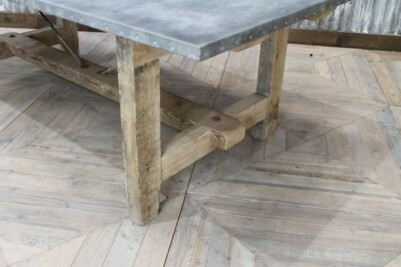 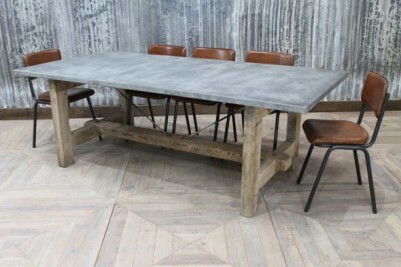 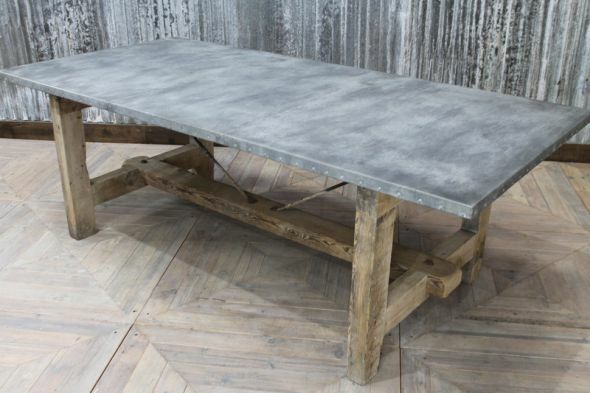 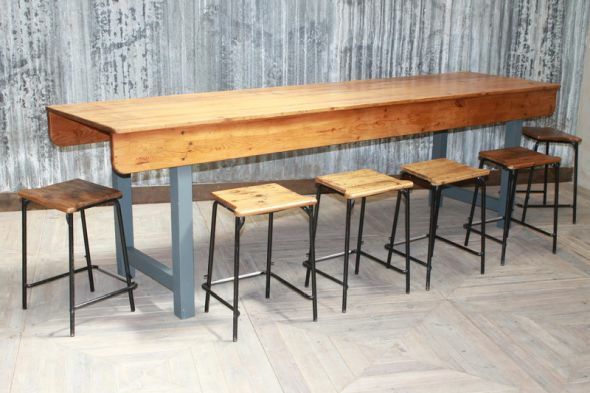 This industrial style kitchen table would be a fantastic feature for a large kitchen or dining room. 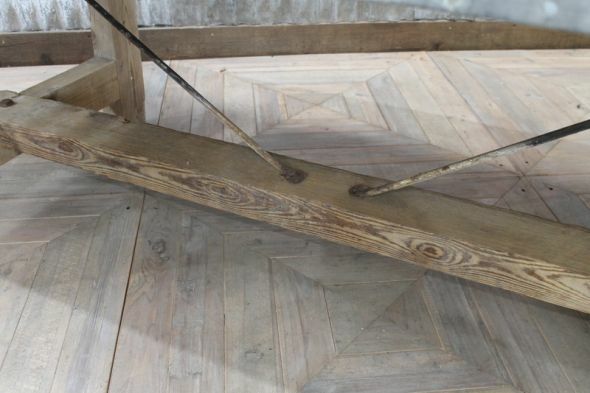 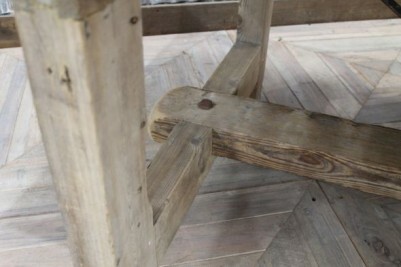 Standing on an original aged Victorian pine base, the table has lots of character and charm. 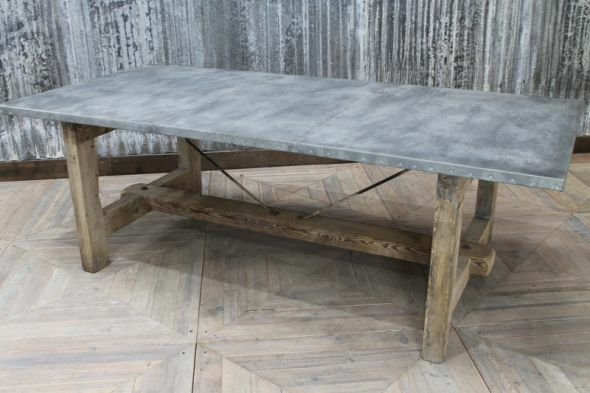 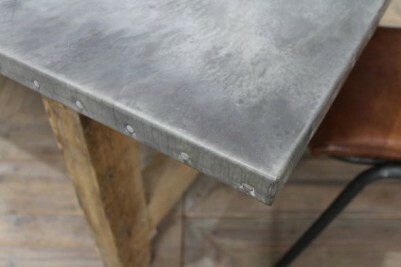 The table has a reworked zinc top, which gives this item its industrial appearance. Here, the table is pictured with our ‘Chelmsford’ dining chairs in tan, which are available to buy separately. 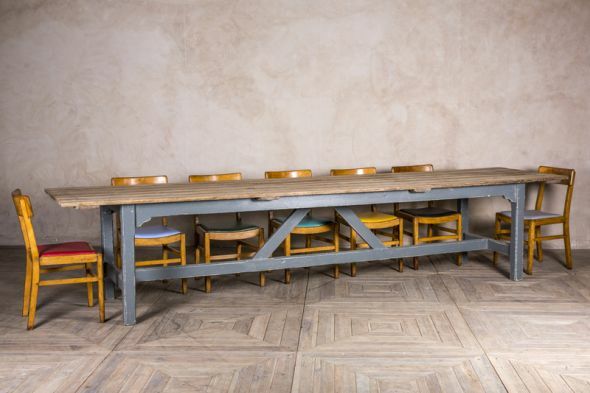 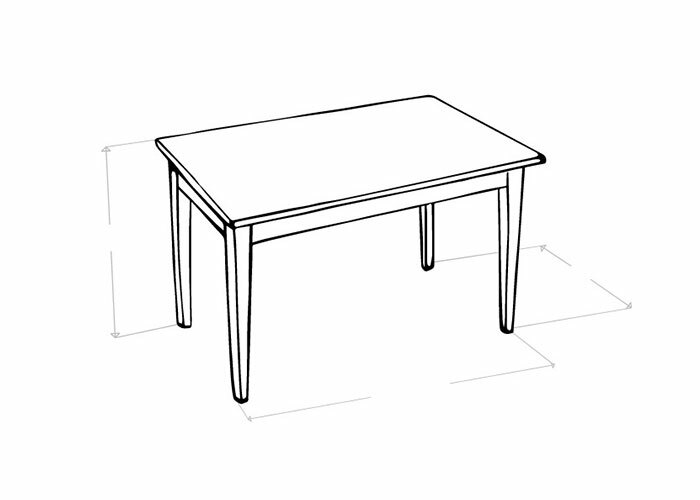 The table could, however, be complemented by a number of chairs from our seating range. 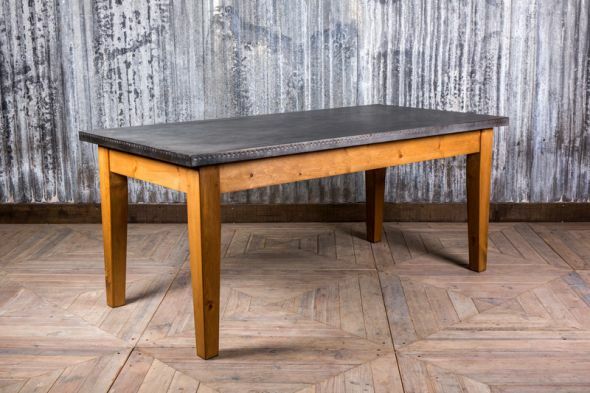 This table is in good condition, but please be aware that it may have some signs of general wear and tear due to its age.